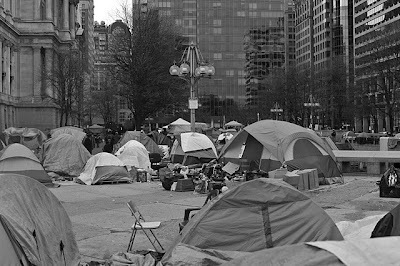 Pretty Purplexing: Occupy Philly - Sunday's in My City. Philadelphia ~ The City of Brotherly Love. A deadline set by the city for Occupy Philadelphia to leave the site where it has camped for nearly two months passed without any arrests. 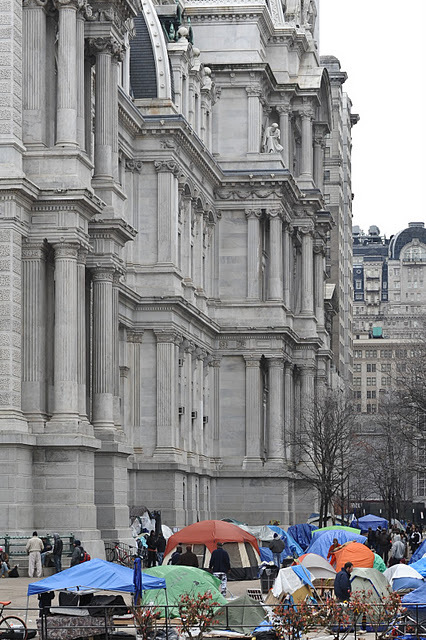 Philadelphia's protesters have managed to avoid aggressive confrontations so far. 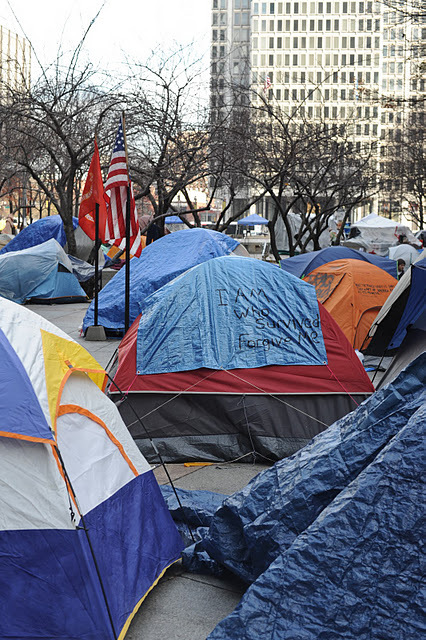 The city issued a demonstration permit that would relocate the group across the street to Thomas Paine Plaza but limits the demonstrating from 9 a.m. to 7 p.m. and bans camping. 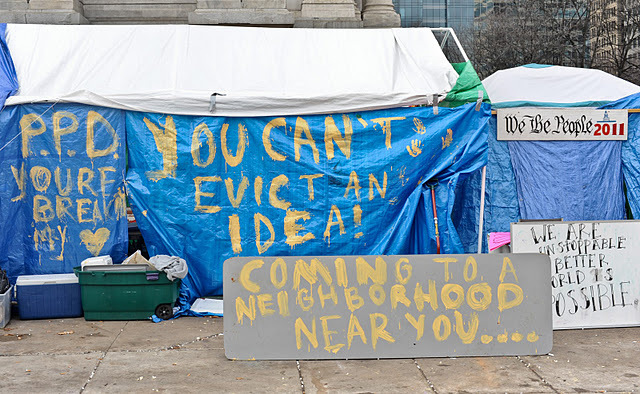 Occupy Philadelphia protesters began demonstrating in Dilworth Plaza in early October. Mayor Nutter said the group has faced "growing public-health and public-safety issues". I hope you enjoyed the view of Philadelphia. 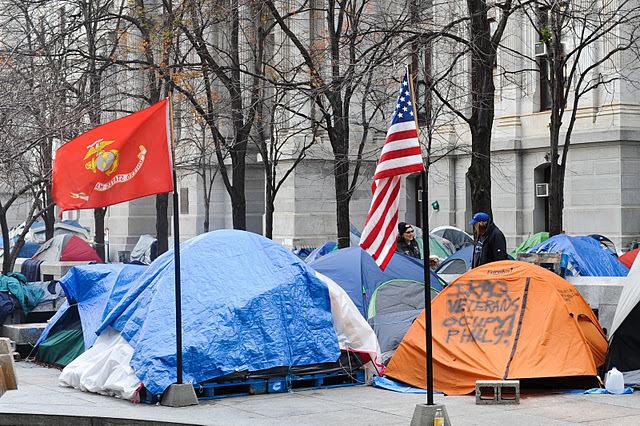 We drove by there when in Philly and while in NYC last week stopped by Wallstreet's occupy...it was a bunch of homeless people wanting money! Tell Todd he takes some great shots! Beautiful to see these again, Tami. Glad you shared them here. 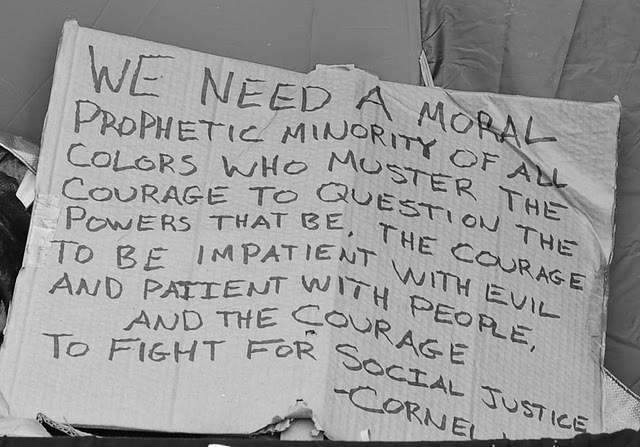 I have to admit, I haven't been following the reasons for the protests. Todd talked to some of the people at the protest. 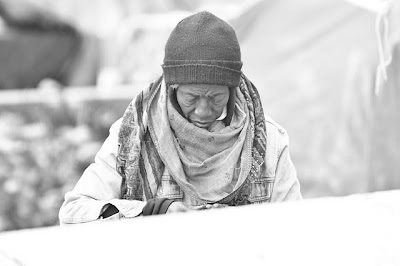 Some were homeless, some were not. I wanted to share the photos because I thought he captured the moment beautifully. 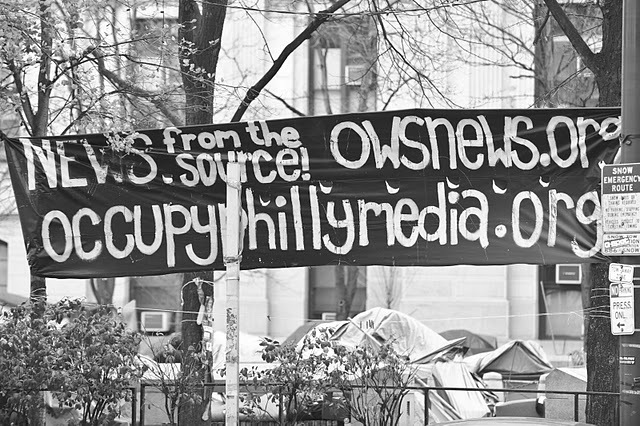 Love the name of your blog...The occupy movement is a good indication of the continuing polarization of the system here. 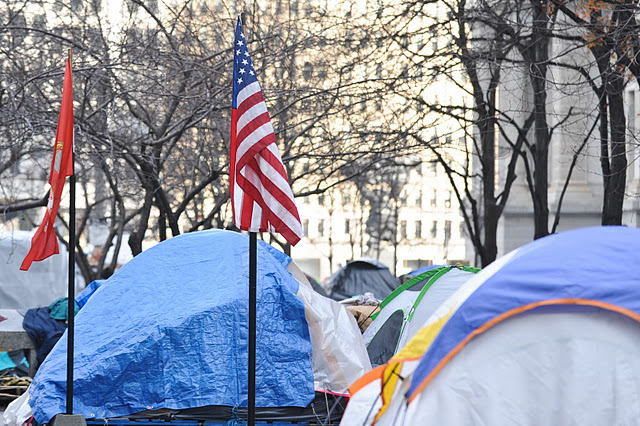 The occupy movement on one side and the tea party on the other. It is sad that we can not just work together. That's a very impressive effort. Your photos are wonderful. 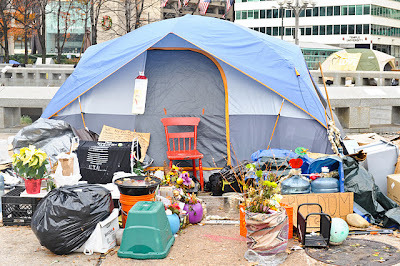 Thanks for bringing Occupy Philly to us. Great photos, thanks for taking us there - I had not seen the movement like this before. Great photos. Love seeing coverage of The Occupy Movement in different cities. 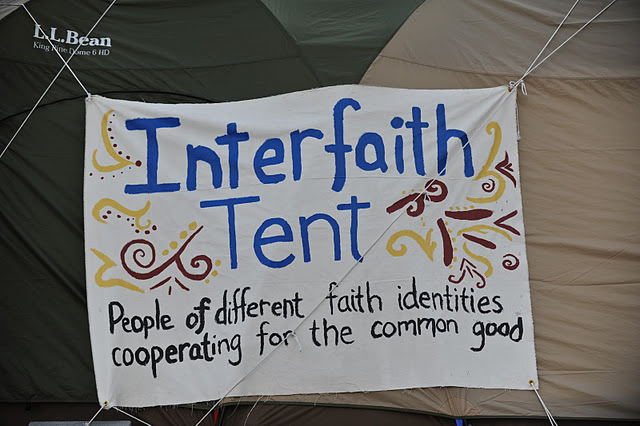 It's interesting to see the different ways people are expressing themselves. 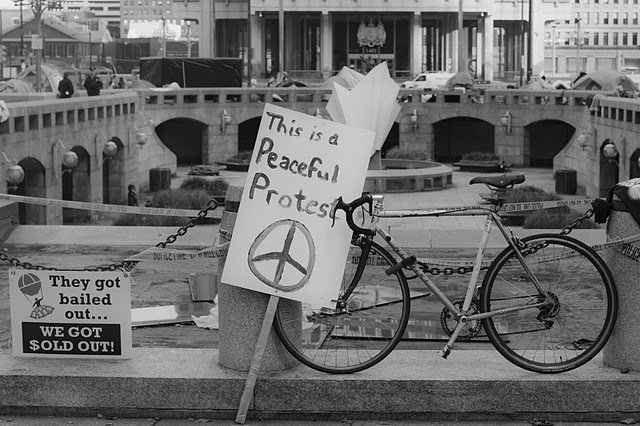 The Philly protesters are gone now as of yesterday, I think? Or was that Seattle? Oops. Unfortunately no matter what the group is and how right or how wrong they are, there are always a few rotten apples that spoil the whole bunch.